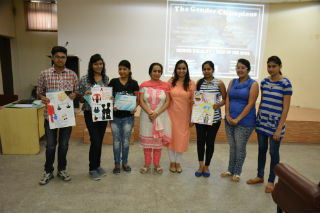 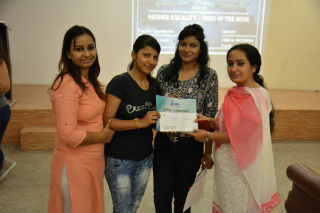 On 25th October 2016, The Gender Champions Club of Jims organised a poster making competition making its debut aiming to create awareness about gender inequality. 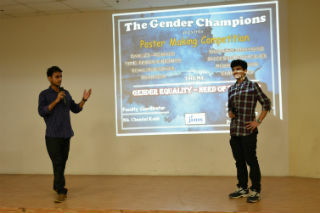 The theme of the event was “GENDER EQUALITY- NEED OF THE HOUR”. 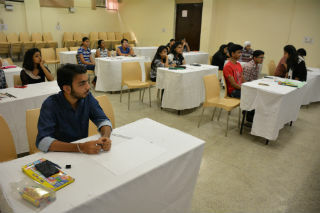 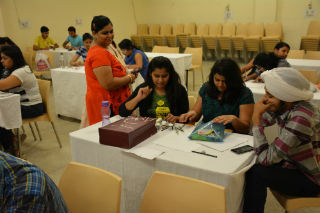 After this the competition commenced and the brilliant minds of all the participants embarked their works. 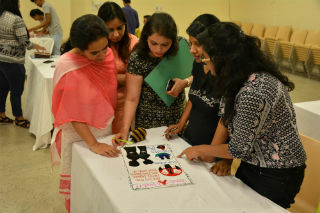 As the time limit allotted for the completion of the posters was 90 minutes, numerous kinds of creative styles were seen. 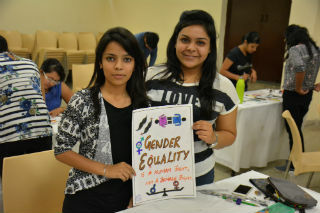 Each participant came up with an elegant, effective and very realistic message that was depicted by the poster. 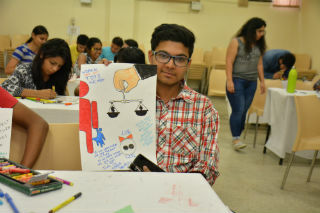 Sketches, paintings and slogans were all put together to form masterpieces which held our dear judges in dilemma to choose the best ones amongst them.